Wind energy was first utilized around 500 BC in China and Persia and was used to pump water and grind grain. It was used for this purpose up until the late 1800s (Nersesian 308). 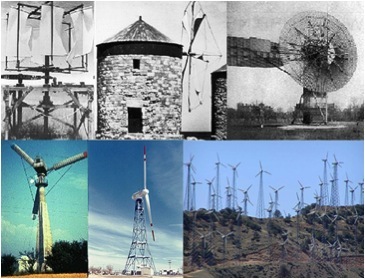 After the industrial revolution, wind power started to decline due to the presence of the more efficient steam engine. However, it was still widely used in the US from the late 1800s to late 1900s to pump water (Kaldellis 1887). This source continued to decline throughout the discovery and early use of oil and gas. However, after the oil prices began to rise in 1973, renewable sources began to be looked at again. “The wind energy industry started in the United States as a result of the Public Utility Regulatory Policies Act (PURPA) of 1978. This Act required state regulatory commissions to establish procedures for non-utility companies to sell electricity to utilities generated from renewable energy sources, waste, and co-generating plants run on natural gas” (Nersesian 309). PURPA had the biggest effect in California, leading them to produce around 14,000 wind turbines in the 1980s (Nersesian 309). Sadly, after oil prices went back down, the US slacked off of renewable energy allowing Denmark to lead the way in the creation of the first offshore wind farm in 1991 (Ragheb). 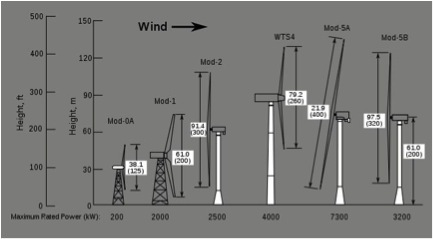 Up to this day, the US has not taken advantage of offshore wind energy. However, this may change within the next few decades as the US aims to produce more wind energy and allows wind farms to start developing.